Automobili Lamborghini and OMP Racing has signed a three-year exclusive licensing agreement, under which OMP will produce a range of technical FIA-approved race wear based on the range used by drivers competing in the Lamborghini Blancpain Super Trofeo. 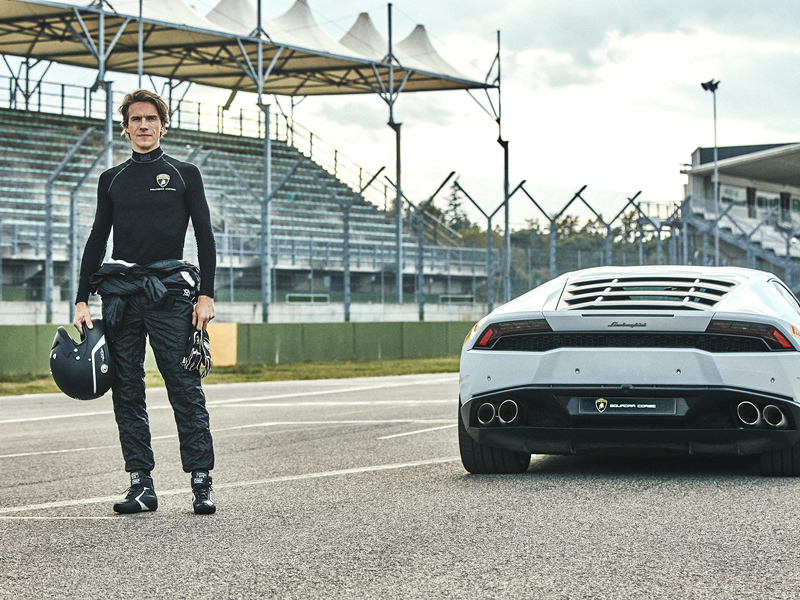 The "Special Edition Automobili Lamborghini" includes top-of-the-range helmets, race suits, shoes, gloves and underwear. The collection is completed by a number of items outside the FIA-approved line, including a mechanic's suit, vintage gloves and the "OMP Chair": a replica of a race car seat, but with the comfort and functions of an office armchair. Thanks to this collaboration, racing drivers, owners and anyone who has a passion for Lamborghini cars, both new and vintage, will be able to wear unique articles of clothing based on those used by Lamborghini racing teams, and experience the emotions of a real racecar driver, without giving up comfort. Each item embodies the lure of the world of racing, which is marked by a passion for challenges and the continuous push for new limits. But each item also depicts the perfection of its creation: everything is scrupulously made with the traditional manufacturing skill and attention to the smallest details that has characterized OMP for more than 40 years, offering the best of what is Made in Italy. Automobili Lamborghini was founded in 1963 in Sant'Agata Bolognese, where the world's most sought-after super sports cars are produced. OMP Racing, based in Genoa, is a world leader in the field of design and creation of motorsports safety clothing and accessories.